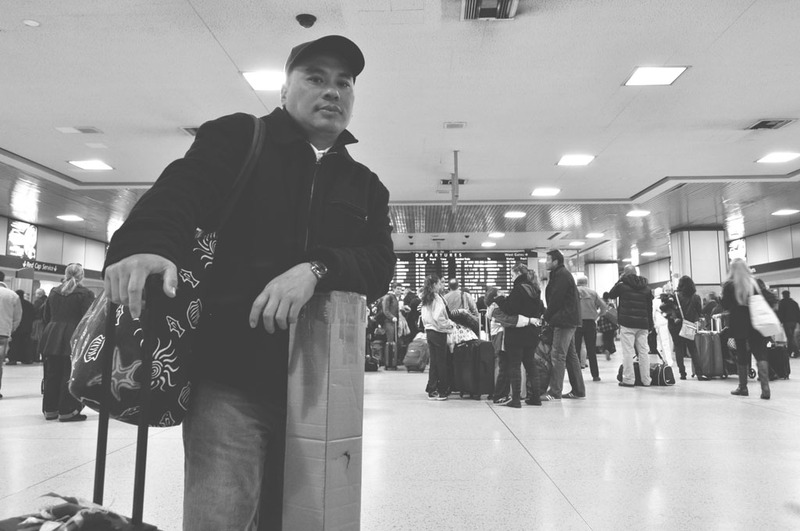 Like most undocumented immigrants in the United States, Filipino Richard Cuanang is optimistic that a comprehensive immigration reform bill now pending in the U.S. Congress will be passed into law this year. Unlike most of the estimated 11 million people who are in the U.S. illegally, however, Cuanang will not be able to benefit from the proposed law that seeks to legalize their stay in the U.S.
Cuanang, who hails from the northern province of Ilocos Norte, is actually leaving the U.S. and flying back to the Philippines on Sept. 5. After staying illegally in the U.S. for nine years, Cuanang was finally caught and has been on deportation proceedings since 2011. 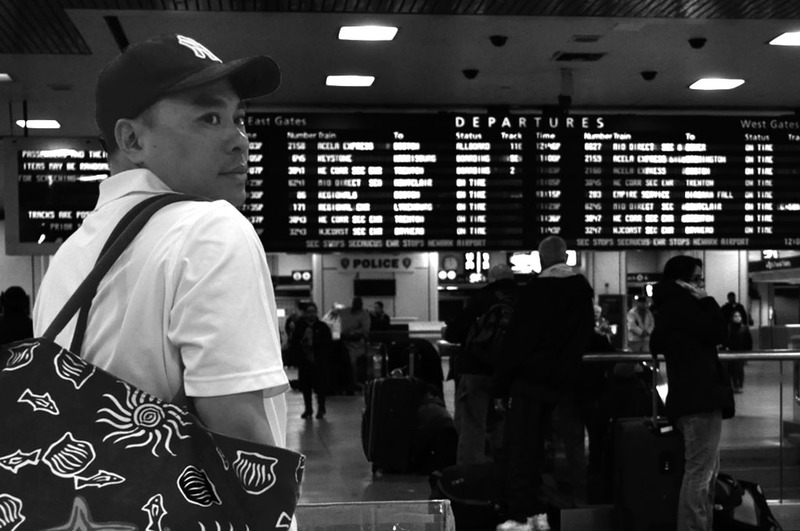 Rather than be forcibly deported by an immigration court and sent home in handcuffs like a criminal, Cuanang opted for voluntary deportation. Cuanang’s TNT days (TNT, for Tago Nang Tago, the Filipino term for the undocumented, which literally means “in perpetual hiding”) in the U.S. came to an abrupt stop as a result of a seemingly harmless incident: a traffic violation. Every year, thousands of undocumented immigrants have been removed (the new terminology used by the Department of Homeland Security or DHS) from the U.S. for violating traffic rules. From 2009 to 2011, nearly 95,000 undocumented immigrants have been by deported by DHS. During that same three-year period, traffic violations were the second highest cause for deportation, next only to drug-related offenses. Still, that fact did not slow down Cuanang, who has been living in the fast lane in South Carolina since his arrival in 2001. Cuanang, a pre-med graduate from Mariano Marcos State University in Batac, Ilocos Norte, came to the U.S. on a J-1 visa as an exchange student. He enrolled at the American Hospitality Academy in Hilton Head Island, SC. His visa expired one year after in 2002. Everyone on a J-1 visa is obligated to go back to his or her country of origin; Cuanang opted to stay. He started working for hotels and resorts in South Carolina and became the vice president of the Filipino American association of three counties in the state. Cuanang’s immigration ordeal began on June 18 2011. It was 11:30 pm, and he was driving home from work after a 13-hour work-shift. He did not stop at a red light. Just before reaching the next traffic light, the car behind him started flashing its blue light. It was a police car. “The moment I pulled over, I said to myself, ‘this is it,’” Cuanang said. “You know I pulled you over because your tag (license plate or registration) is expired,” the police officer said. After five minutes, the policeman called for a backup. He asked Cuanang to call a friend to come over and drive his car home. The police officer told Cuanang that it’s not enough for the police to charge him and detain him overnight. It turned out, Cuanang had a ticket each for speeding and driving without a license and had failed to pay a fine of $360. The policemen then took him to the Beaufort County jail in South Carolina. “I thought that all I needed to do was to pay the amount and I would be out the next day,” Cuanang said. ICE stands for Immigration and Customs Enforcement, the main investigative arm of the DHS; it is the second largest investigative agency in the U.S. federal government. By then, ICE has begun investigating Cuanang’s immigration status. Cuanang spent 10 days at the Beaufort County jail while waiting to be transferred to the ICE processing center in Charleston, SC, some 70 miles northeast of Beaufort County. The processing center is where detainees are brought for pre-processing; that is, to determine whether the detainee will be discharged or held at the ICE detention center and tried by an immigration court. When Cuanang was transferred to the processing center, he was handcuffed, with chains around his ankle and with two security escorts and another detainee riding with him inside a secured van. “Is this going to be the last time that I am going to see Beaufort?” Cuanang told himself. At the Charleston facility, Cuanang said he and the other detainees were stripped, and were given physical checkups. Three days later, he was transferred again to the ICE detention center in Lumpkin, Georgia. “That’s when you start seeing immigration judges,” said Cuanang. The judge assigned to handle my case gave me a court date and set my bail. Cuanang was discharged July 17. He was let go at 3 p.m. but could not leave the detention center right away. He had no one to pick him up. The ICE facility in Georgia is a seven-hour drive from Bluffton, SC, where he lives. 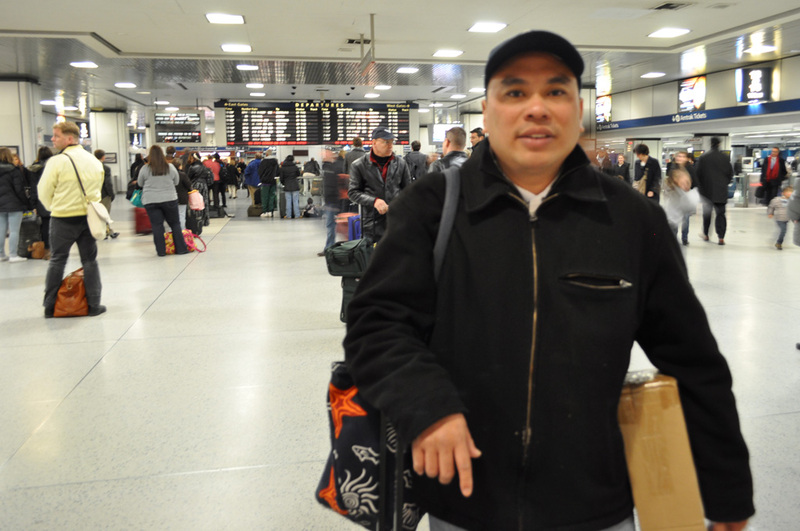 “I had to wait for one of the guards to take me to the closest shuttle station,” Cuanang said. It was already 9 p.m. when he left the ICE center. On his second court date in October 2011, the judge told Cuanang that if he cannot not come up with an anchor by January 11, 2012, he will be subjected to a deportation proceeding. An anchor is a reason or a person that can help someone facing an immigration court to remain in the U.S. An anchor could be a wife, children or relatives who can and will sponsor a non-citizen for a legal permanent resident status, or what is commonly called the green card. “My aunt (in the U.S.) said she cannot sponsor me. I do not have a child. So the only thing I could do is to marry a U.S. citizen,” Cuanang said. Cuanang brought James and their marriage documents to his January 11 court appearance. The judge gave Cuanang six months to submit the necessary papers that will allow him to stay legally. Three months into the marriage, however, their union started to unravel. James refused to help her husband. She was supposed to submit a revised copy of her birth certificate, the last document needed to fix Cuanang’s immigration status. Cuanang knew then that this was the end of the road. On May 8, Cuanang’s lawyer, James Cyrus, requested for voluntary deportation on Cuanang’s behalf. It took the judge only five minutes to grant his petition and set Cuanang’s departure date. He gave Cuanang until Sept. 5 to leave the United States. 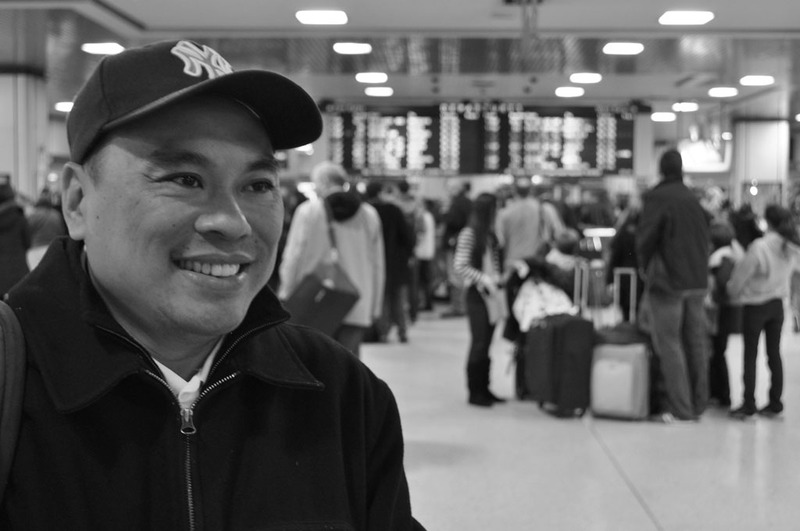 Cuanang is going back to his mother, five sisters, a brother and three nieces in the Philippines. He plans to help manage his family’s farm in his hometown of Nagbacalan. He is seriously considering going to law school and launching a political career. At the moment, he is writing a book about his experience as an undocumented immigrant in the U.S.
After Sept. 5, a new chapter is about to begin for Cuanang.